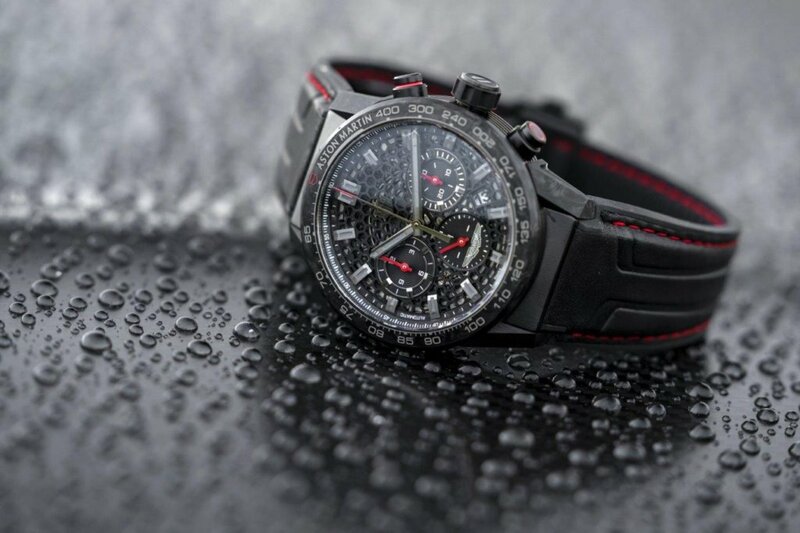 26 February 2019, Gaydon: In celebration of its partnership with Swiss luxury watch company TAG Heuer, Aston Martin has launched the striking Aston Martin DBS Superleggera TAG Heuer Edition. 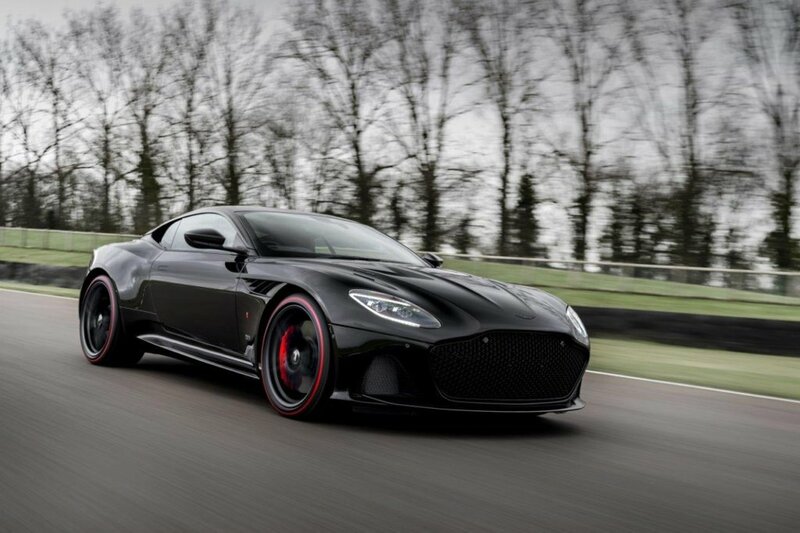 Just 50 of these stunning sports cars, finished in Monaco Black paint with red accents, will be available globally and built to a luxurious fixed specification. 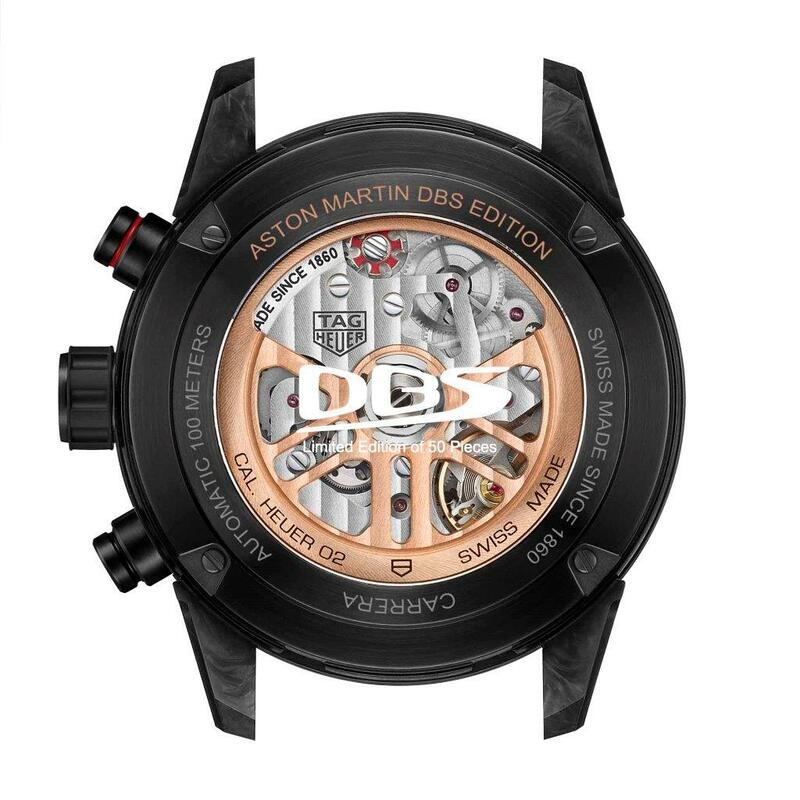 Each of the 50 cars will be accompanied with a limited edition TAG Heuer watch, the DBS Edition Carrera Heuer 02. Powered by a Calibre HEUER 02 Automatic manufacture movement, to stay true to TAG Heuer commitment to its Swiss avant-garde savoir-faire, this exclusive timepiece presents a hexagonal cut-out face matching the grille of the DBS and an embossed black calf leather strap mirroring the leather inside the car. 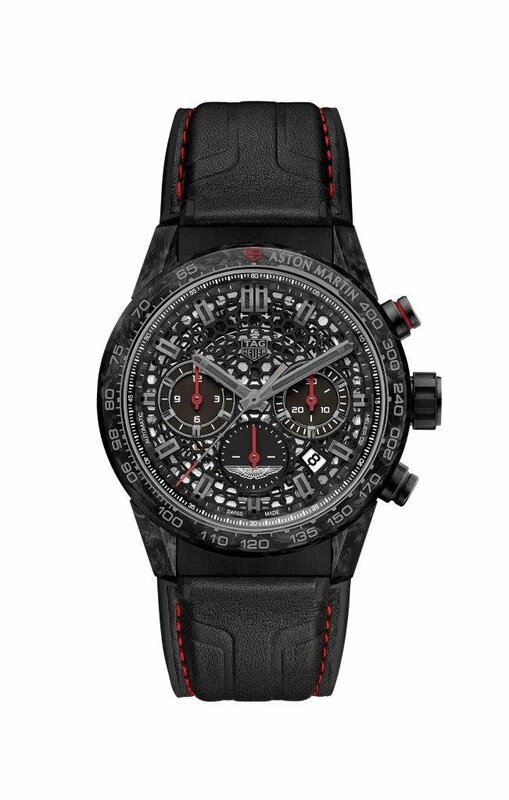 Like the car, the watch will have red detailing and will be strictly limited to 50 examples. 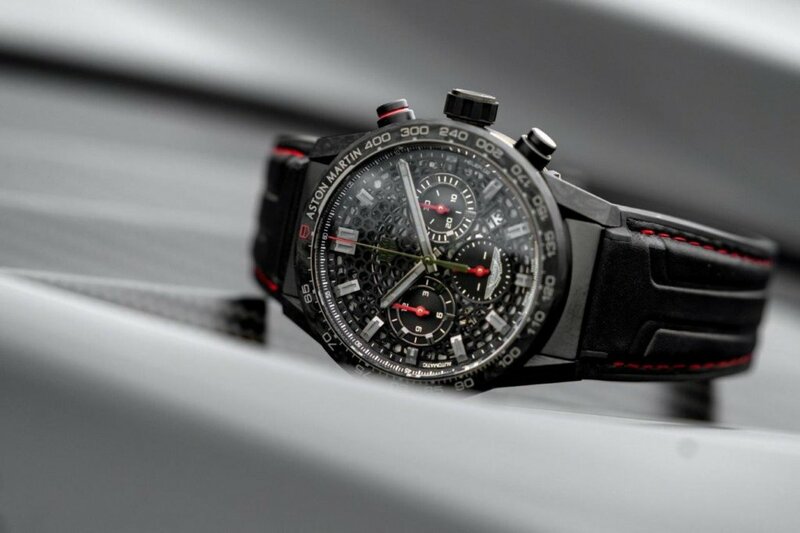 The DBS Superleggera was the perfect choice for this collaboration with TAG Heuer. 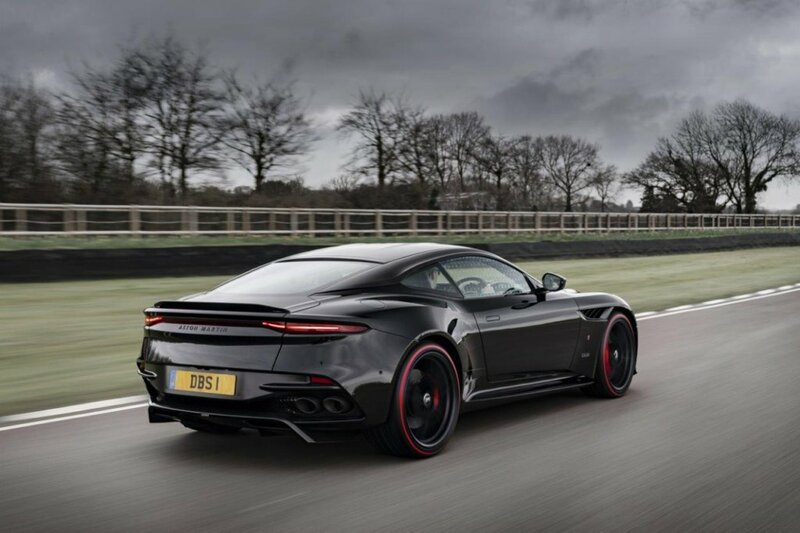 Aston Martin’s Super GT with its 5.2-litre twin-turbo V12 engine is the ultimate combination of style and power, utilising modern materials and precision craftsmanship. The car delivers an unforgettable driving experience and class-leading in-gear acceleration and the innovative aerodynamics meld beautifully with its compelling curves. Nicknamed “the brute in a suit”, the Aston Martin DBS Superleggera is immaculately styled, obsessively engineered and outrageously potent. 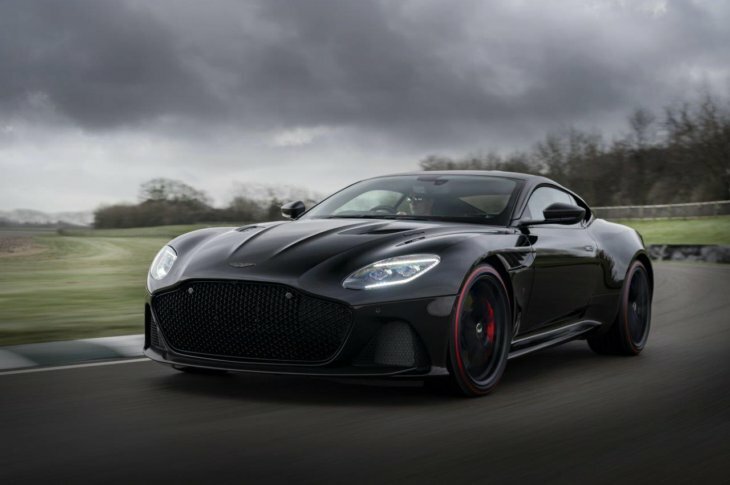 The Aston Martin DBS Superleggera TAG Heuer Edition is presented in Monaco Black paint with a satin black tinted carbon fibre roof, mirrors, vents, louvres, splitter and spoiler. 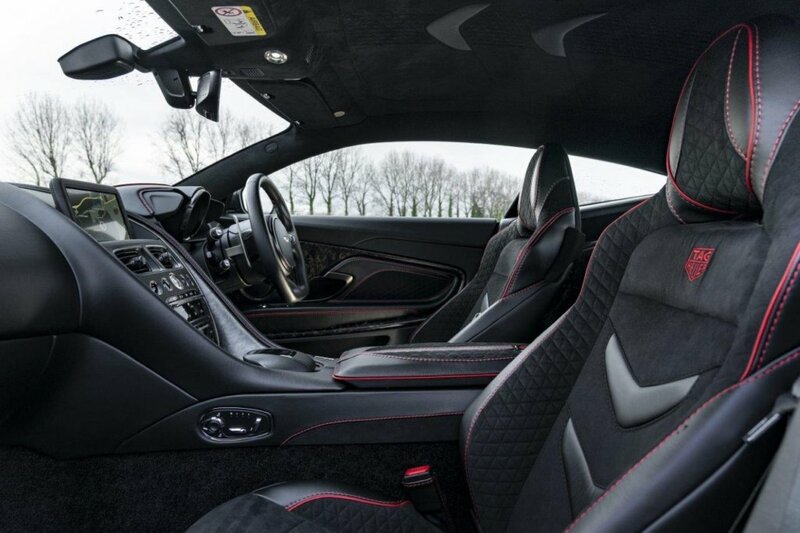 The bespoke specification includes satin black 21” twin spoke wheels fitted with Pirelli P Zero tyres with a red accent to complement the red brake calipers. If the unique livery with red highlighting doesn’t give away the model type, the fender badge with TAG Heuer logo will do so.